Before we do anything else, let's first dispose of the fact that this post mentions the city of Moose Jaw. 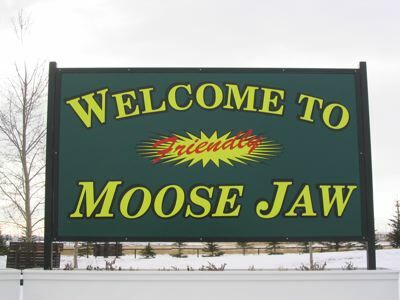 Take a moment out to sit back, call the wife and kids over, guffaw some, shout "MOOSE JAW? WTF? etc. ", snort a sip of Starbuck's out your nose, and generally do what you have to. The fact is that Moose Jaw is a pretty place with an awesome spa and the best Thai restaurant in the Western hemisphere. There's a glass noodle dish that kind of looks like a bird's nest and leaves you incapacitated with heat, but it tastes so good it's like nibbling on God's beard. Plus there's a waitress there who, even if you show up once every six months, will remember you, the people you came with the last time you showed up, what you ate and what you thought of what you ate. Once I ordered the noodle dish and it was so hot I was dripping sweat from my forehead, panting like a dog and emptying sugar packets on my tongue just to take the next bite. The waitress came out and apologized, explaining that the chef/owner was having a bad day and had taken it out on my food. But I was transported, riding the capsicum dragon to happy land, sweating diamonds of joy. I told her it was okay. The rest of the day was kind of a blur. All this is by way of background. Another piece of information for the foreign readership concerns the Canadian Broadcastion Corporation, our state-sponsored radio and television broadcaster. It is known for purveying, by and large, the best radio and worst television programming in the country. Whether or not you agree with this statement - after all, some of you out there may enjoy Air Farce marathons, but you are sick sick bastards - you may be willing to concede this: that a state-sponsored broadcaster should, by its very mandate, provide news that is of some use to its citizens. Fifteen-year-old Peacock High School student Ashley Isbister recently circulated a petition that collected more than 300 signatures calling on the school to reverse its ban on pop, chips, chocolate bars and other junk food sold in vending machines and school concession stands. When school started last month, all those treats were gone from the premises. "A lot of students are upset the school board's taken away our choice," said Isbister, who presented the petition to the school board Tuesday. "We're not allowed to choose any more what we want to eat." First let me say that I pity these children who have been told repeatedly that they live in a democracy, only to be stuck in an institution about as democratic as a sweatshop factory floor. If you can make it through school without noticing that the pedagogical mode is more "shut up and sit still" than "one voice, one vote", then you were not paying attention. Nonetheless, the students at Peacock High, like most people in post-war North America, have been raised to imagine nearly everything in their lives as part of the rubric of 'choice,' a catch-all that somehow welds purchasing options to a set of assumed rights. Chips=choice=rights. When did the indisputably tasty but useless potato chip become any part of human rights? Don't torture. Don't invade privacy. Don't deny the kids their chips. Meanwhile, schools corral children into little rooms, regulate their movements, search their lockers, hand out punishment and promote a mindset in which rights nominally granted to adults exist in a soft, degraded state. Students still getting their junk food from nearby convenience stores, anyway, Isbister added. Yes indeed. You can also get bags of shake from that guy with the smelly dreads who lives in that boarded-up house on Thatcher Street, but that doesn't mean he should sell it in the school parking lot. But one adult sympathetic to what the students are doing is Darrell McDougall, who used to keep the schools supplied with potato chips and other snacks. Now, he said, the schools are no longer happy to see his brightly coloured truck with the Lays chips logo. "They've gone the healthy choice," McDougall said. "It taken a big chunk out of the business I do. It kind of hurts." I weep for you, Darrell McDougall, junk food pusher. Great salty tears I weep for you and your inability to make schools happy with your brightly coloured truck. What will you do, now that your bright truck is making schools so unhappy? Who's the bad man that did this to you? And there's the word 'choice' again, but it carries a different meaning in Darrell 'Junk Trucker' McDougall's mouth. He's talking about institutional will, as opposed to the aggregate will of individuals in a constituency. He's also unconsciously referencing a brand name, which only shows that companies like the one that McDougall works have branded themselves onto our brains in ten foot high words of fire. What astounds me is that my mind is forming words like 'aggregate' and 'constituency' in response to a story about potato chips. Sandi Kitts, a school superintendent, said the schools are trying to align their practices with what they're telling students. 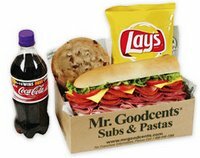 "We are teaching it in many of our classrooms, yet offering junk food in our concession," she said. While the school board in Moose Jaw is planning to make every school's menu junk-food free by next June, it said it will take the student's petition seriously. Please, Moose Jaw School Board, don't do that. If I were school superintendent Sandi Kitts, I would have sent out a man in a hooded robe to intone "IT IS DONE" and then solemnly withdraw to leave reporters to chew on those three syllables. That would learn 'em. In other news, The Wrestling Boosters take great pride in their concession stand. A taco in its own little package? IT'S TRUE!! !